If you want to look like a 20-something well into your 40’s, do something more than pray that your youthful good genes kick in. Follow the road many a celebrity like Victoria Secret models Adriana Lima and Alessandra Ambrosio have taken, and commit to using anti-aging vitamin C serum to help maintain a healthy, youthful complexion long into the future. Ideal for women of all ages and skin types, the skin care benefits of vitamin C serum are numerous, beginning with the most popular – it helps to reduce the appearance of fine lines/wrinkles. The bane of any woman’s existence are fine lines and wrinkles. But rather than give into the abyss of aging, the regular use of vitamin C products can combat their very appearance because of their concentrated levels of antioxidant-rich vitamin C, which helps boost collagen production, filling in fine lines and wrinkles. As a result, you may find that you have more youthful looking skin without the need for any expensive and potentially risky cosmetic work! In addition to its anti-aging benefits, topical vitamin C is also great for protecting your skin from damage—especially from the sun's UVA and UVB rays. That's because vitamin C is an antioxidant, so it naturally helps to strengthen your skin and repel things that could damage it. Of course, topical vitamin C should not be considered an alternative to wearing sunscreen, but when combined with regular sunscreen application, it can really work wonders for your skin. Vitamin C has also been found to help even out skin tone and reduce the appearance of under-eye circles. This is great for those who are tired of trying to conceal the dark circles under their eyes and want to enjoy a more youthful, bright, and vibrant appearance. Studies have also found that high levels of Vitamin C can help to speed up the body's natural healing processes. This makes it ideal for use on the face and other areas of skin, as it can help to heal small cuts, acne scars, and other blemishes more quickly and effectively. If you suffer from skin redness or other discoloration of the skin, then a quality vitamin C serum may also be able to help you achieve a more uniform skin tone and better complexion. Specifically, vitamin C is great for reducing embarrassing redness. With just a few uses, you may find that you have a more even skin tone. No matter what your age, it's always a good idea to be preemptive about avoiding wrinkles, sagging skin, fine lines, and other signs of aging. 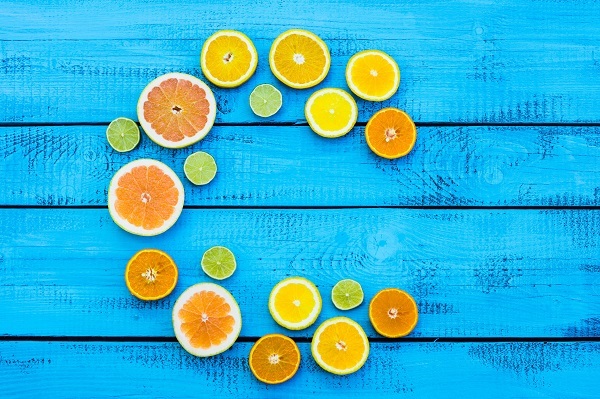 Vitamin C can help your skin look younger for longer, not only by stimulating collagen production, but by evening out your skin tone and brightening your complexion as well. If you suffer from dry skin, vitamin C is a must. This is especially true if you have tried using moisturizers and cremes in the past, only to find that your skin is still dry and flaky. With topical vitamin C products , you can enjoy the high concentration of vitamins that your body truly needs to improve moisture content and overall hydration. In addition to improving your skin's overall complexion, vitamin C can brighten otherwise dull skin, allowing it to look healthier and more vibrant. Strong concentrations of this vitamin leave the skin looking and feeling replenished and revitalized. It has also been found that vitamin C, in high enough concentrations, has inflammation-reducing qualities. This is ideal for people who tend to wake up in the morning with unsightly puffiness around the eyes or other areas of the skin/face. A little bit of vitamin C serum can go a long way here. Finally, in addition to protecting your skin from sun damage, vitamin C can also be effective in helping to speed up healing of sunburns. Apply some after you have been sun burned, and the vitamins will help to promote faster healing so you can get rid of redness and find relief from itching, burning, and other symptoms associated with sunburn. These are just some of the many benefits of vitamin C as it pertains to your skin and face. And while it's easy to go out and find lotions, cremes, and other moisturizers at your local drug store that claim to contain vitamin C, it's important to realize that your skin needs a very high concentration of this vitamin in order to see results. This is why you're encouraged to use concentrated serums rather than a basic creme or lotion. Vitamin C is an essential vitamin that the body needs for a number of reasons. However, it proves most beneficial to the skin—particularly around the face. For this reason, many people these days use skin-care products that contain vitamin C, such as concentrated vitamin C serums that are designed for use on sensitive facial skin. Essentially, vitamin C serum is a oil- and water-based liquid that contained highly concentrated amounts of vitamin C. Serums are different from cremes and other products with vitamin C because of the significantly higher concentrations, which allow people to get the most out of the product and see more noticeable results. Many people opt for topical vitamin C as opposed to other chemical serums and skin care products because vitamin C serum is completely natural. There is no concern about how your skin is going to react because there are no harsh chemicals or other questionable ingredients. As a result, vitamin C serums are formulated and infused to be gentle enough for everyday use. The same simply cannot be said of many other skin care products on the market. The best way to use a topical vitamin C is to simply apply a small amount of it once or twice a day (depending on your skin type) to clean, dry skin. It should be applied before you begin applying your makeup (give it time to dry), but after you use your daily facial toner (should you choose to use one). From there, simply continue with your regular makeup and skin care routindata-trigge. 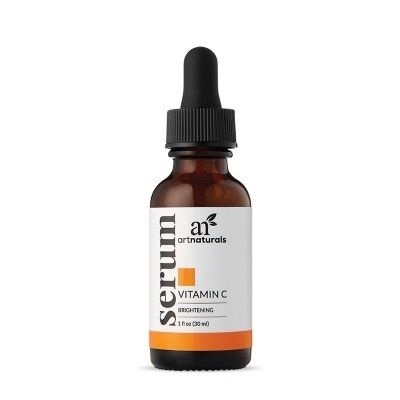 Check out artnaturals Vitamin C Serum Here. Would you like to check our products with 15% off applied automatically on your cart ? Click on the link below to checkout artnaturals products and apply 15% off on your next order.